It was a great event filled with great speakers and good information. It was also complemented by attendees dressed in kool & unforgettable costumes, as well as other folks whose costume I’m trying to erase from my memory. 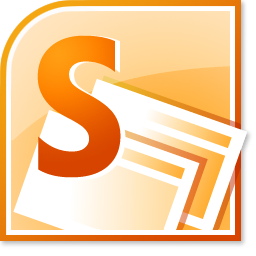 I heard a nasty online rumor that in the upcoming world of Office 2013, SharePoint Workspace (SPW) will be no more. Whether that’s true or not, it reminded me that I have yet to write a post about SPW – what it is [was? ], and what some of its neat features are [were?]. I’ve met enough SharePoint users who don’t know anything about SPW to guess that many of you reading this may also be new to the concept. Even less have probably heard of its cousin Groove Workspace. If you’ve never seen SPW, but you have Office 2010 Premium installed on your computer, go to Start > All Programs > Microsoft Office hit the Windows key and type “workspace” to receive your prize. SharePoint is a versatile tool meant to empower end-users. So, for me it seems such a shame when end-users feel powerless when it comes to their ability to ‘create’ in SharePoint. Sometimes for a non-developer, it can seem like the only way to make something interesting in SharePoint (besides a fancy list or some Wiki pages) is to get help from a Developer or Web Designer. But I submit that, with a little creativity (and maybe some smoke-n-mirrors), non-developers can make an ‘application’ that looks and feels like a Developer’s custom application page. I was talking recently with a fellow SharePoint developer who specializes in custom SharePoint development. In other words, this means he probably spends more time with the SharePoint Object Model than SharePoint Designer, for instance. I was remarking on the fact that even though I too am a SharePoint developer who is well-versed in the nuances of Visual Studio and the object model, many of my client’s needs tend to be solved by leveraging no-code solutions. I went on to talk about the value of no-code solutions from the perspective of farm stability, risk, and deployment issues. Today I’ll be talking about SharePoint with other Agilists at the AgileDotNet Conference, a 1-day event put together by Improving Enterprises and Microsoft that tries to ‘bring together the world of .NET development with the world of Agile methods’. SharePoint can be a great tool for teams trying to incorporate Agile principles into their team development. I’m looking forward to talking with attendees about their experiences and use of SharePoint, and hearing about how it has contributed to their team’s success. My talk at Louisville’s first-ever SharePoint Saturday yesterday went well – it was a very interactive group, and we had a pretty lively discussion about the opportunities and implications of Azure for SharePoint and our industry overall. (you can find the slide deck here). As a speaker in the first track of sessions, I helped kick off a full day of great speakers and topics that I’m sure added some much-appreciated SharePoint learning to the Kentucky community. I know how upset you were when you realized you had missed my talk at SPS Atlanta last month on SharePoint & Windows Azure integration. Oh, the tear-soaked pillows and so many boxes of Kleenex. : ) But fear not! You have another chance to hear my talk, as I’ll be speaking this month at SharePoint Saturday Louisville on July 28th. And it gets even better! As you may have heard, some new & exciting features have been announced for Azure in the past few weeks. I will most certainly be adding some incorporation of these new features into my talk. But wait – there’s more! In addition to my talk, you also get to check out all the other great speakers that will also be in attendance at #SPSLouisville. We’re talking about a full-day of great SharePoint content – all for free! I hope to see you in Kentucky on July 28th. Otherwise, who knows when you might ever be able to hear the Cowbell speak on SharePoint again??? (hint – August 1st; stay tuned for more self-promoting info to come) Let the countdown begin! This is a follow-up to my article titled “Everything I Know About SharePoint Consulting I Learned from The Ghostbusters”. Once again, it speaks to general principles, but ones that certainly apply to the SharePoint consultant as well. Check it out! 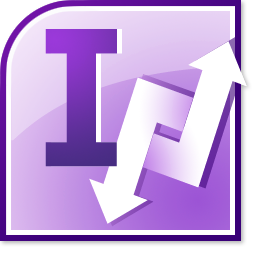 Had a great time talking with the folks who attended tonite’s Dayton SharePoint User Group meeting – we had a lively discussion about all things InfoPath, and hopefully I made a believer out of those who might have previously been skeptical about using InfoPath. Hope to see everyone again when we all attend the SharePoint Saturday Dayton event on June 30th! Slide deck for tonite’s talk can be found here. This has been a big week for Azure. Scott Guthrie’s keynote about the new Azure features being launched was pretty exciting. There have also been Kick Start events nationwide for Azure, including one here in Columbus, OH this past Saturday, which I attended. My main interest involves Azure & SharePoint integration. The problem is, as much as I’d like to play it for hundreds of hours like so many others, regardless of its effects on our fragile economy, I can’t – because SharePoint won’t let me. I have speaking engagements coming up, and SharePoint says that I should prepare for them. Instead of exploring the world of Tamriel trying to figure out how to stop the evil dragons, I have to explore the world of Azure and figure out the many ways that SharePoint integrates with it. Instead of deciding between my mace or my sword as I go into battle, I have to decide between farm or sandboxed solutions as I go into my next project. Sigh… perhaps one day, my Skyrim addiction and my SharePoint addiction will find a way to control my life in a more balanced way. I’ll call it ShareRim…. I recently wrote an article about the skills that consultants need to be successful, and since it also applies to SharePoint consultants as well, I thought I’d cross-post here. Enjoy! Check out the other great speakers that will be sharing their expertise at this event as well. Also, if you attend my session, you’ll have a chance to take home some swag that my company (Improving Enterprises) will be giving away! See ya there! “Lists” are a great Twitter feature for grouping all the tweets from a list of people into one convenient feed. You would create a list if you want to follow the tweets of a group of people talk about the same topic. 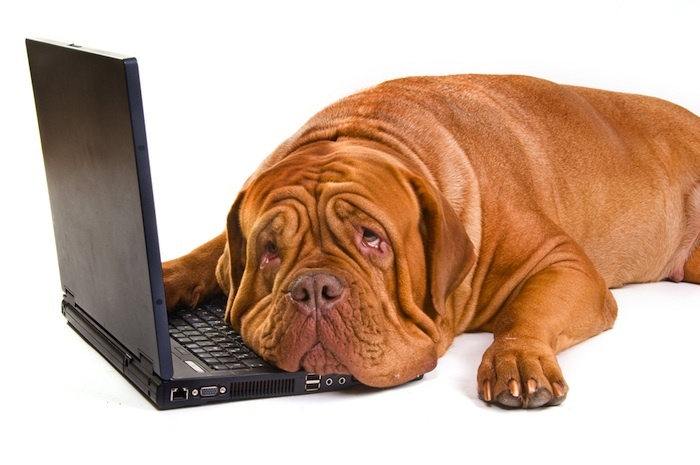 So, wouldn’t it be great if there was a list of all the SharePoint User Groups (SPUGs) that have Twitter accounts? That way, you could keep up on all the SPUG activity around the world! On Tuesday, April 3rd at 7pm EST, I’ll be delivering an online webinar for the Atlanta chapter of the BDPA as part of their Tech Talks series. I’ve got 90-minutes to give a crash course to attendees on everything that is the wonderful world of SharePoint – that’s right, from calendars to content types, from lists to libraries, from RBS to BCS. My intent is do a 60-minute lap around the “wheel”, then wrap up with some live demo of solutions that attendees can do as soon as they get back to their office or friendly-neighborhood VPN. Q&A will also be included. So strap yourself in and join the ride – I’m gonna show you all the stuff you didn’t even know you didn’t know, and weren’t sure you ever wanted to know, but now you know – and knowing is half the battle. The keynote was a panel of speakers from companies like Kroger, the Air Force, Fifth Third Bank, and Microsoft. Each were given a few minutes to share some of their insight on SharePoint, and how they’re using it in their organizations. I liked hearing how much Microsoft is eating their own dogfood thru their heavy internal use of SharePoint for their company portals. The other thing I took away from this is that there are many LARGE companies out there having HUGE success with SharePoint. I point this out because many times you only hear about the challenges of scaling SharePoint in the enterprise. For these folks, the internal adoption and demand for SharePoint among their user base is so successful that they’re having trouble keeping up! Stopped by fellow LOTR-lover Peter Serzo’s class and learned that the tabular data model is the new hotness, and is used in Denali (aka SQL Server 2012) – are Cubes on their way out?? All this and more! Plus I got a couple of books signed by their authors (thanx Brian and Mike). Last week’s webcast with Quest Software and Improving Enterprises was very successful – over 100 people attended the online event to hear about SharePoint customization best practices, and get a live demo of some of the features that Quest web parts bring to the SharePoint landscape. The on-demand video recording should be available soon – stay tuned. Below is a copy of the slides used, or you can find them on Slideshare. Check here to see the whitepaper. On Wednesday March 14th, Improving Enterprises will be teaming up with Quest Software to help deliver a webcast on SharePoint customization best practices. This is a follow-up to the whitepaper I co-authored last year with SharePoint MCM Mario Fulan. Not only will we be able to elaborate on the topics from the whitepaper, but you’ll also get to see a live demo of some of Quest’s web part products. Last week, I presented an overview of the features and uses of Team Foundation Server (TFS) 2010 in a webcast to clients in the UK, in a partnership with Microsoft and Improving Enterprises. When the “About Me” slide appeared, I felt compelled to explain that although I’m one of those SharePoint guys (you know, one of the kool geeks ), it was important for them to know that SharePoint development also makes use of application lifecycle management, and in fact makes good use of TFS. At the end of this article, I’ll explain why I think this is such a big deal. But for now, I’ll walk thru the 3 easy steps necessary to take advantage of these features. In my case, the remote SharePoint site I’ll use is my Fpweb.net Hosted SharePoint account. Last nite I gave my InfoPath 2010 talk to the attendees at the Buckeye SharePoint User Group. Despite a nasty snow storm that swept in inconveniently right at the evening rush hour, lots of folks braved the cold and joined me in an engaging and entertaining talk about the untapped power of InfoPath 2010. My goal was to hopefully make people see the value that InfoPath delivers as another tool in their SharePoint arsenal, and to show that it can be used for more than just the basic form. SharePoint made an appearance at Codemash this year! This great event is normally light on SharePoint love, but this year I was able to present a 20-minute vendor session for Improving Enterprises that focused on the development features that a [non-SharePoint] developer should know about when contemplating SharePoint development. In my opinion, SharePoint as a dev platform can be a developer paradise because of large collection of tools, libraries, services & utilities at your disposal. And as I’m exploring the Visual Studio 11 Developer Preview (more on that to come), I think many will see that it’s about to get even better. You can find my slide deck here, and for more info on Codemash, check out the website, or view the very active twitter feed.